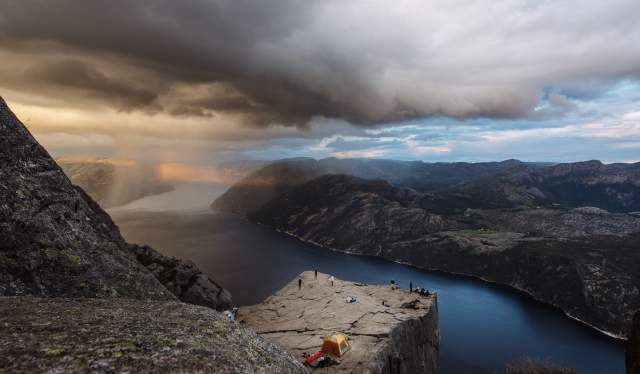 More and more people are realizing their dream of hiking Norway’s mountains and forests, causing visitor numbers for tourist-cabins to explode over the last decade. One encounter you might have while spending the night in one of The Norwegian Trekking Association (DNT) many tourist cabins is journalist, photographer, author and lecturer Marius Nergård Pettersen. The 34-year-old has been passionate about nature and trekking since childhood, and he has just published his eighth book on outdoor life. This time, his subject is Norway’s vast and wonderful selection of tourist huts. “I grew up in a family who treasured nature highly. The feeling of freedom and mastery that you get while spending time in the great outdoors is something that was instilled in me at an early age”, he says. Even though an experienced trekker like Nergård Pettersen is happy to pack a tent and camping stove and disappear along unmarked tracks, Norway’s tourist cabins maintain a special place in his heart. He defines them not only as a practical, comfortable and social means of experiencing Norway’s nature, but as an ideal entry point for beginners. “You walk along marked paths, before arriving in a nice and warm room. You have the option of drying your clothes, sleeping in a comfortable bed, cook food and meet other trekkers along the way. All this and more makes cabin-to-cabin trekking easily accessible for everyone”, he says. A cabin-to-cabin trek is often completed in a few days. 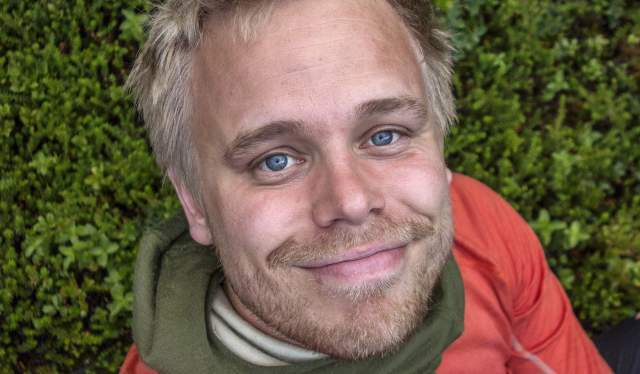 Nergård Pettersen, however, hopes that more people will attempt some of the lounger routes Norway has to offer. “With this book i hope people will be inspired to try out some long term trekking. The feeling of being surrounded by nature for a week or two is completely unique”, he says. But with more than 500 cabins under The Norwegian Trekking Association and more than 20 000 kilometers of marked paths, where do you start? 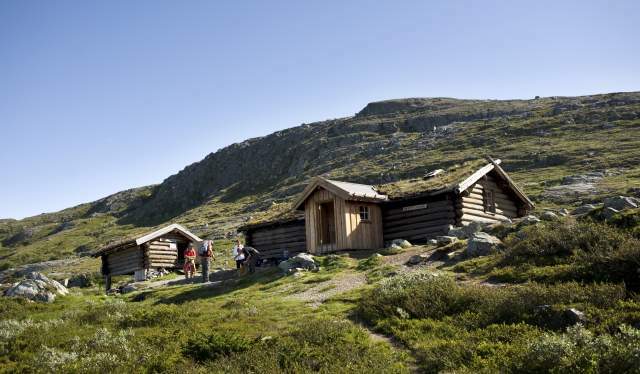 To help you along, Marius Nergård Pettersen gives you seven of Norway’s most memorable cabin-to-cabin summer treks. Walking along the Gjende lake in Jotunheimen is, according to Nergård Pettersen, an educational journey. 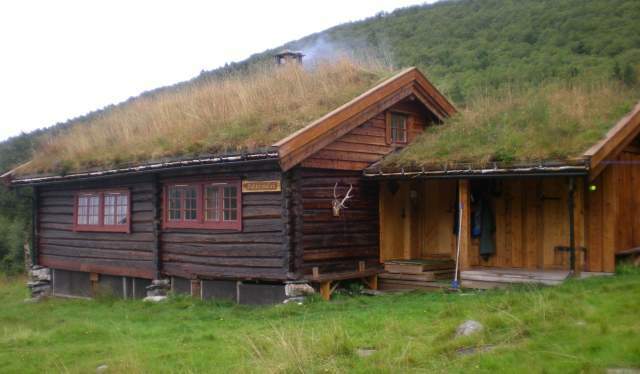 “You start from The Norwegian Trekking Association oldest tourist Cabin, Gjendebu, located in the inner parts of the Gjende lake, before continuing to Memurubu and Gjendesheim”, he says. On the first day you will walk over Bukkelægret, an old trading-route heading up from the lakes edge. The trail has a steep elevation of several hundred meters, before you cross over into mountainous scenery and are rewarded with gorgeous views. From there, the route descends to Gjende and Memurubu, before continuing to Besseggen the next day. If you haven't been here before, it will soon become obvious why Besseggen remains one of Norway’s more popular trekking destinations. If the weather is fair, this trek will make a lasting impression. Nergård Pettersen has always been a fan of “close” treks, meaning experiences in nature that doesn't require long trips from home. The 34 year old lives in Oslo, where he recommends crossing the Nordmarka forest. 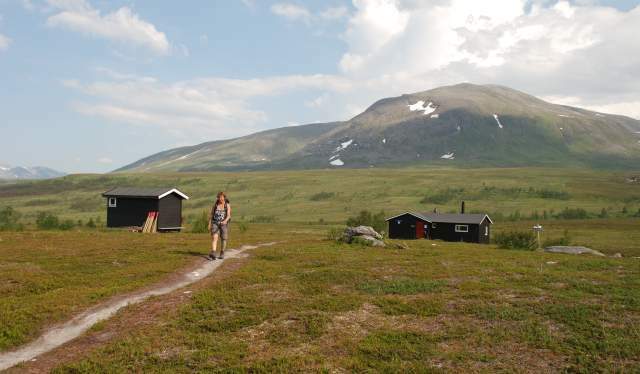 “You start from Tversjøen, furthest north in Nordmarka, and follow the route via the cabins Sinnerdammen, Katnosdammen, Kikutstua, Kobberhaughytta and all the way to Frognerseteren. The trek will take you three to five days, depending on pacing, and can be regarded as fairly easy”, he says. The daily stints from cabin to cabin may be short, but the trek takes you through beautiful and fascinating scenery. 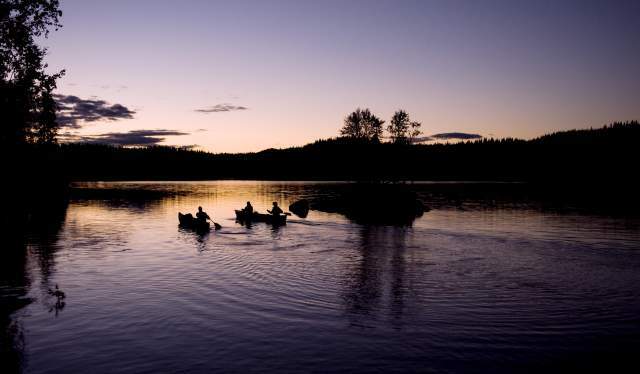 You start off surrounded by old growth forest and protected reservations, before continuing through every variation of nature Nordmarka has to offer, with beautiful viewpoints and bodies of water both large and small. 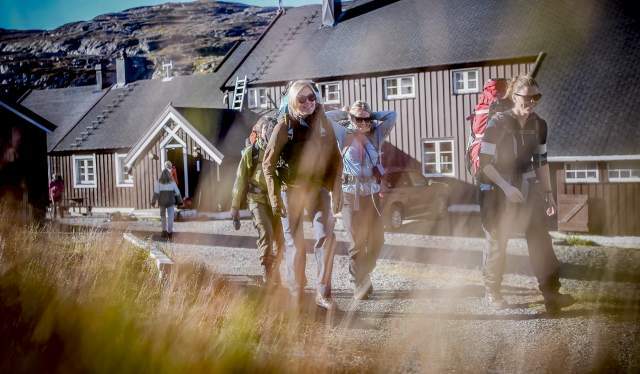 The route which most inspired Nergård Pettersen to lace up his hiking boots while writing the book takes visitors on a magnificent trip around the Lysefjord. “The route will take you through natural wonders such as Pulpit Rock and Kjeragbolten, along with seven different cabins,” he explains. The route is six to seven days long, but it can be divided into sections along the way – like many of the longer cabin-to-cabin treks. On this journey, there is a ferry on the fjord that enables visitors to start and finish wherever they like. The Lysefjord trek includes steep and dramatic stretches with drops several hundred meters deep, along with pleasant sections along the water’s edge. A beautiful and varied trek. The Children's Natural World – as the area is called by The Norwegian Trekking Association – is a tiny mountainous speck east of Trollheimen. Here, cabins are modeled after old “sælehus”, a type of wanderers’ homes commonly found during the middle ages. “These are only five to nine kilometers apart through easy terrain, making the area perfectly adapted for little feet. Its a low difficulty trek, but not to the point where it becomes boring”, Nergård Pettersen says. The landscape you'll experience is both mysterious and fascinating, with climbable peaks, old growth forest and fishing waters spread out along the trail. All the huts on this trek is unmanned, meaning you'll have to supply your own food, sheets and sleeping bag. Aurland valley is a gorgeous river valley that stretches from Skarvheimen north of Hardangervidda, before continuing out to sea. On this trek, you’ll start from Geiterygghytta before heading onwards to Østerbø and Vassbygdi by the Aurland fjord. “Along the way you will have experienced one of Norway’s most beautiful valleys, with amazing waterfalls and exiting terrain. You start on the upper parts of the mountains before ascending gradually through the valley”, says the trekking expert. When you arrive at Østerbø you'll be somewhere around the tree line, before walking deep below steep valley sides and gradually towards thicker vegetation. Another “close” trek passes over what many calls the Tromsø city mountain. Here you'll start on a trail near Snarbyeidet east of Tromsø, witch takes hikers slowly, but steadily back towards the city. This is a two to four day trip with four unmanned cabins available along the way. The trek takes you through coastal mountain landscapes – hilly, but pleasant for walking – with peaks and open landscapes wherever you are. 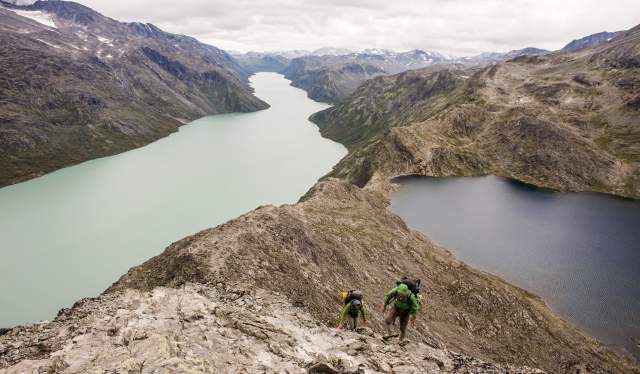 Near the end of the trail it’s possible to climb the 1238 meter high Tromsdalstinden and be awarded with magnificent views. “Finally, we have a true long distance trek. The Nordmøre fjord route starts from Kristiansund and takes you on a two week adventure”, says Nergård Pettersen. Parts of the Nordmøre route can be described as demanding, but several sections are reasonably short. The landscape is defined by fjords and mountains, with lots of hilly, but rewarding trekking along the low-lying tree line. Some cabins are found right by the sea, where you'll have access to both boats and great fishing opportunities. The view points are ample, as opposed to the numbers of trekkers. This is one of the routes where you'll frequently find yourself walking in solitude.